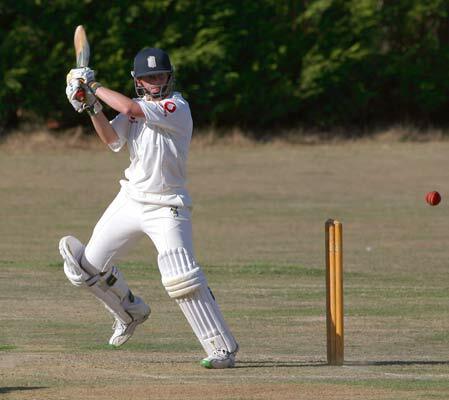 Deprived of the chance to play in the triangular tournament at the beginning of the summer, it was reassuring to see her opening the batting with Charlotte Edwards at Beaconsfield in the match replacing the washed-out Shenley Test match. Their opening partnership of 92 was the highest for England (with just one exception) since Charlotte Edwards and Helen Plimmer added just 3 more runs in August 1997! 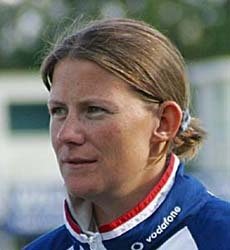 Kathy made her debut for England in 1995 in a European Cup match against Holland in Dublin. During that series she made 32*, 44 and 37*. 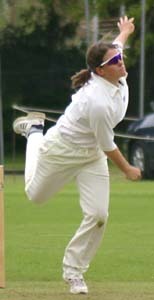 Her batting at an international level was less consistent for a time, but she was handicapped by batting in the middle order, often coming in when quick runs are required during a period when the England top order always seemed too slow out of the blocks. 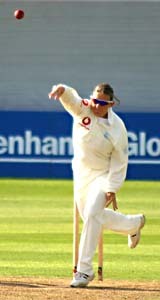 Her highest score in international cricket was made at during the summer of 1996 against New Zealand of 144. 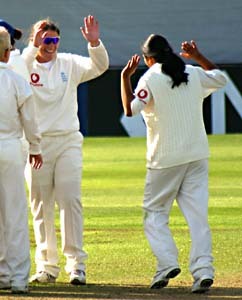 During the course of this match she contributed to two England partnership records, the first with Barbara Daniels of 132 for the 6th wicket, and later with Melissa Reynard of 114 for the 8th wicket. She also took 3-112 in the New Zealand first innings in that match. 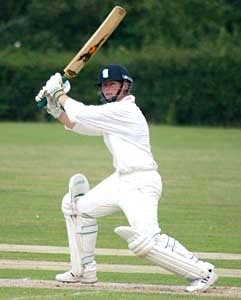 Row 1 : Batting on a parched ground for England in a charity game at Odiham, Hampshire (2003), and in the Super 4s (2002). 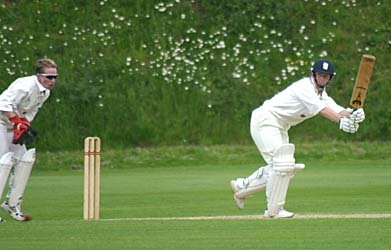 Row 2 : Batting for Yorkshire, bowling for England in the Test Match at Taunton & celebrating a wicket during that match. Row 3 : Bowling in the Super 4s.